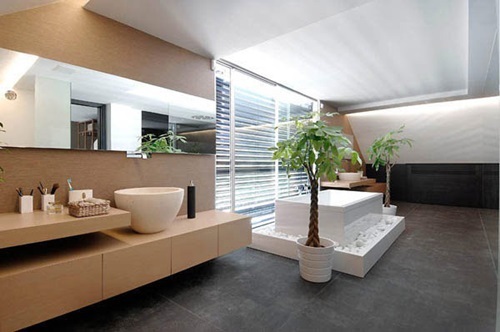 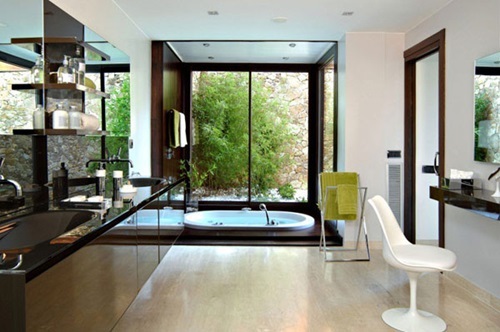 The landscape of a modern bathroom is typically dominated by clean lines, uncluttered spaces, neutral colors, and natural materials. 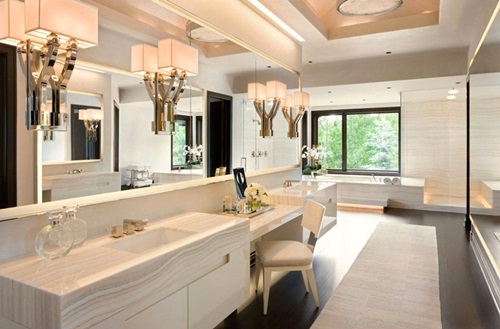 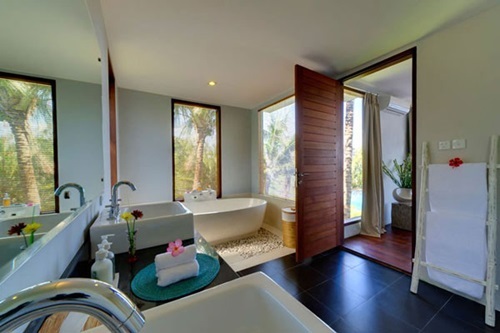 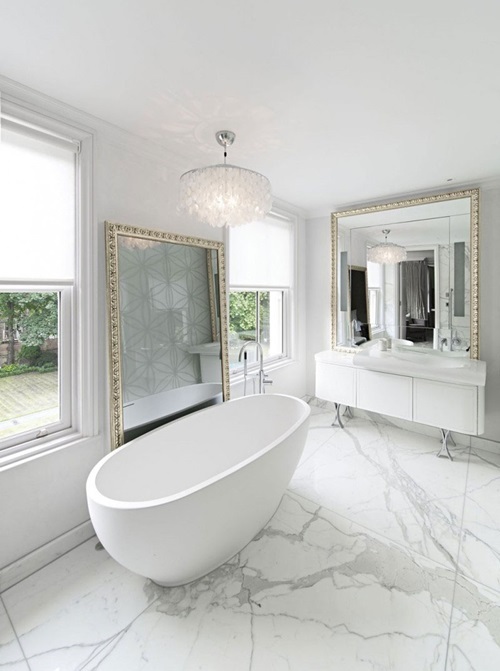 However, when you begin designing your bathroom in a modern theme, it gets a little difficult if you don’t know how to apply your preferences and ideas of elegance to that famous style. 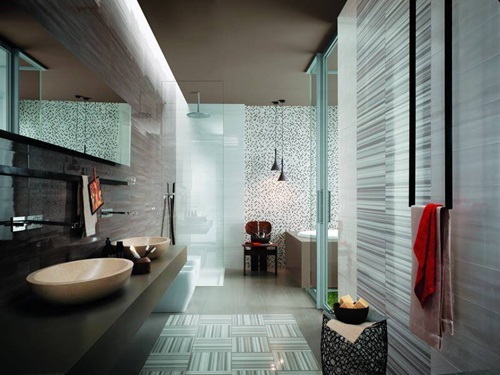 Hopefully, these following tips will help you in espousing some unique ideas. 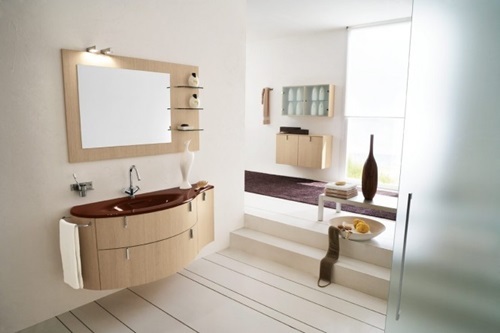 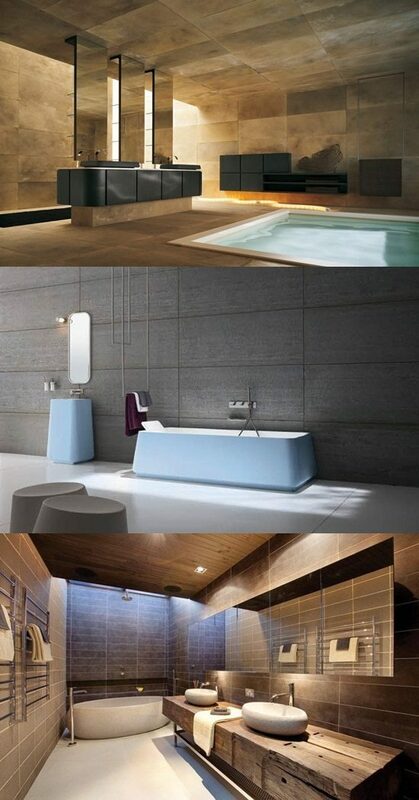 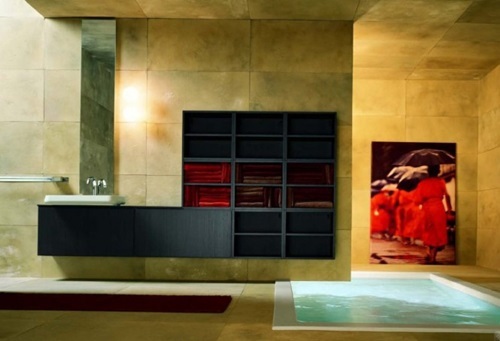 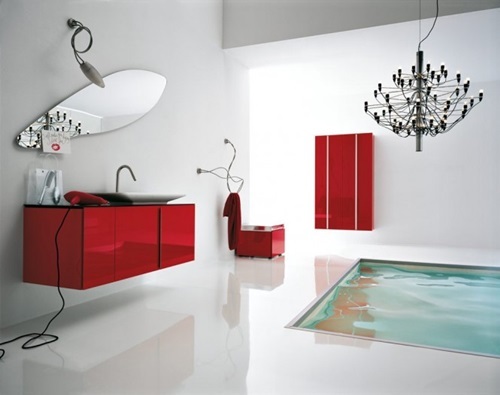 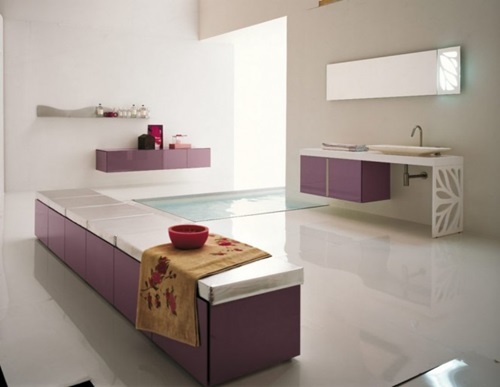 More often than not, colors are what make the first impression in a bathroom and what actually set the wished-for mood. 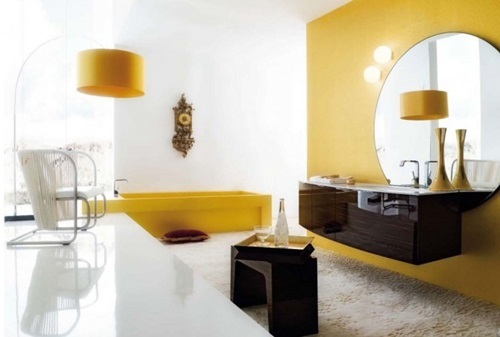 To enhance a modern elegant feel, work with only two color schemes and avoid using too many colors. 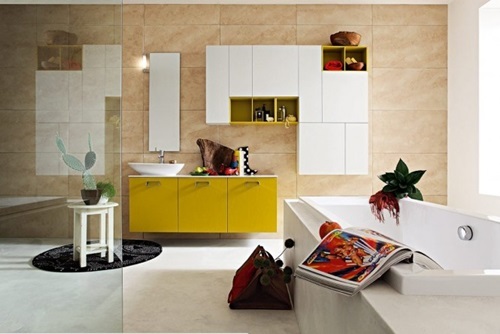 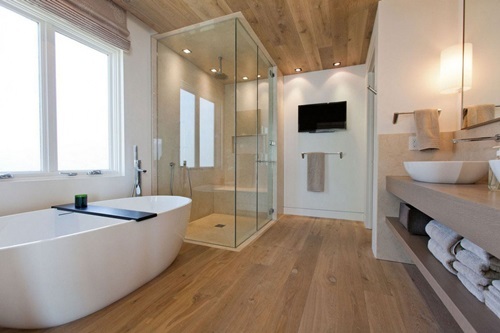 You can mix white with any other color to promote spaciousness, tranquility, and peace, especially in a small bathroom. 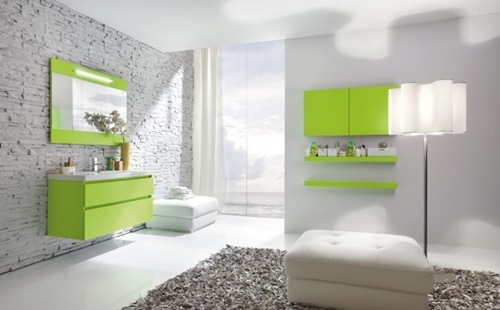 So, light aqua, soft green, wooden elements, and blue are always welcomed with white or any other neutral tone of a bright color. 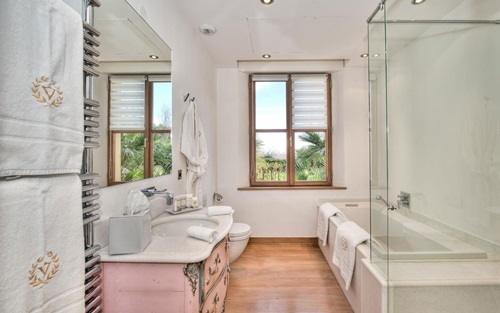 Whilst it isn’t advisable that you use a lot of patterns or paint designs in a small bathroom – as it will appear cramped and closed up, it’s actually recommended in a larger one. 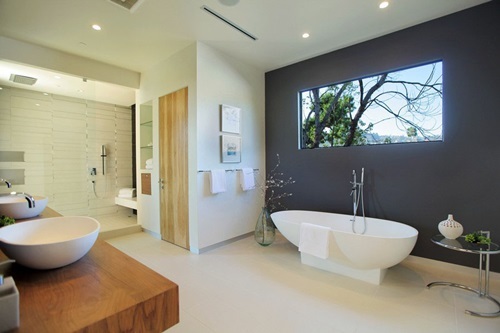 Also consider using rather darker shades in the color palette and installing beautiful interior paint designs on the ceiling or on one accent wall; which will lend your large bathroom a graceful mid-century modern look. 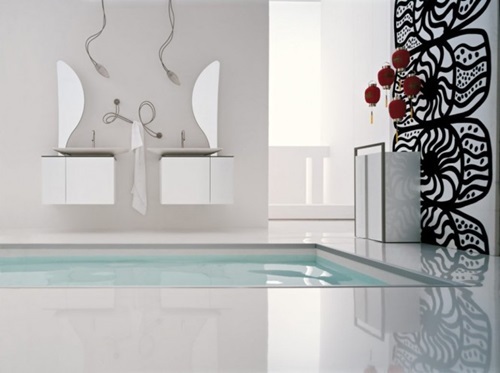 Geometric shapes and clean lines are evidently and drastically associated with modern style. 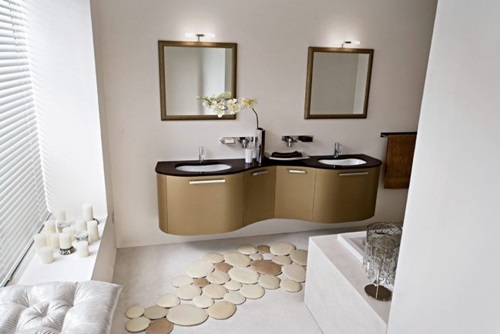 However, keep in mind to match the outer shapes and lines of your mirror, window, bathtub, countertops, and sink with each other. 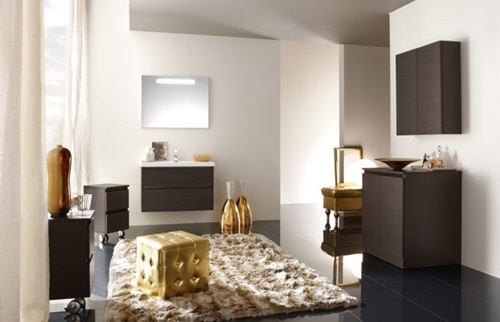 Whether you prefer the bold clean look of the straight horizontal lines or the harmony and neatness of the oval shapes, by complementing it with some geometric accent pieces, you will have a marvelous sleek look. 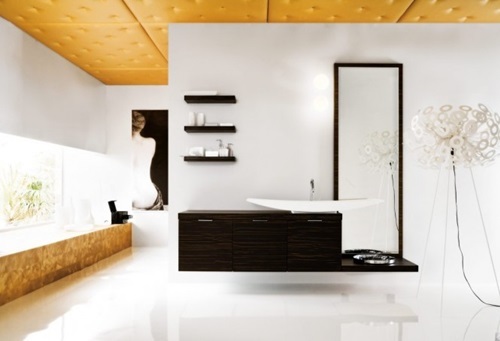 Last but not least, keep your modern bathroom well-organized and refined with less decor items and brilliant storage solutions. 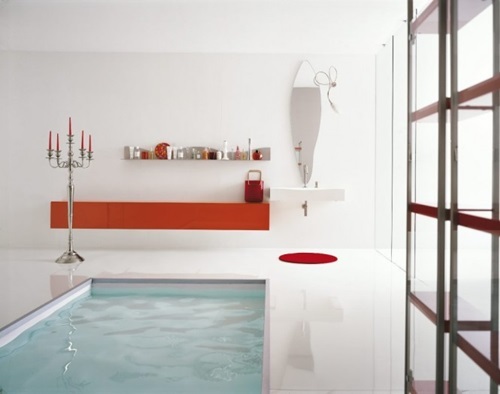 Modernism in design is all about adding more space. 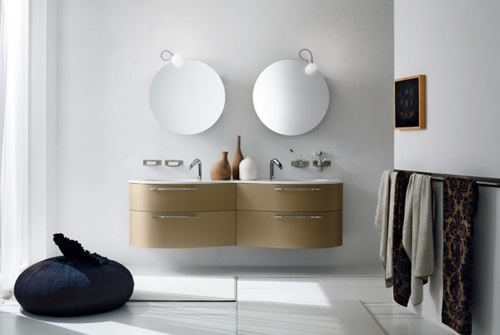 Therefore, consider wall-mounted cabinets, vanities, trays and bins to maintain the uncluttered clean look.